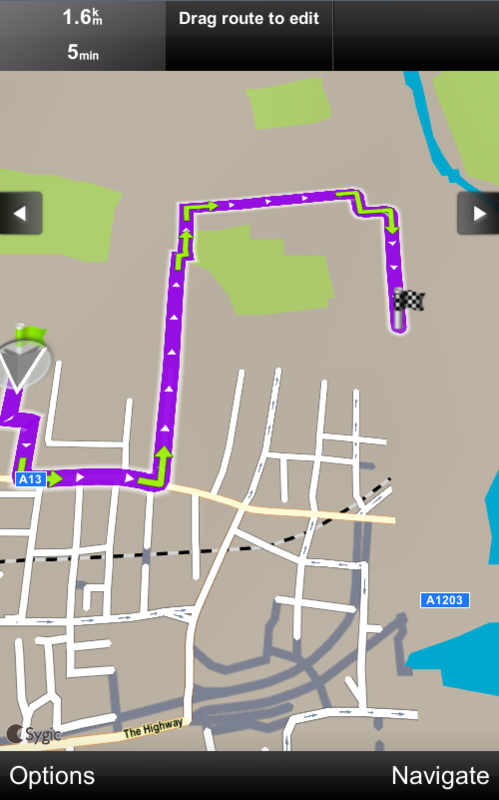 Choose navigation for trucks, buses or cars (Drive to) or pedestrians (Walk there) to start route calculation. If your current position cannot be determined, please see chapter Acquiring GPS position. The distance and time to destination are shown on the top of the screen. Tap Navigate to start navigation.